Man is Janus-faced – animal and divine both. Animal belongs to his past, divine belongs to his future, and this creates the difficulty. The past has passed, it is no more; just a shadow of it lingers on. And the future is still the future, it has not yet come; it just a dream, just a possibility. And between these two exists man – the shadow of the past and the dream of the future. He is neither and he is both. He is both because the past is his – he was animal. He is both because the future is his – he can be divine. And he is not both, because the past is no more and the future is yet to be. Man exists as a tension between these two: that which was and that which can be. This creates a conflict, a constant struggle to realize, to be something. In a sense, man is not. Man is just a step from the animal to the divine – and a step is nowhere. It was somewhere and it will be somewhere, but right now it is nowhere, just hanging in the air. So whatsoever man is doing – whatsoever I say – he is never satisfied in it, never content, because two diametrically opposite existences meet in him. If the animal is satisfied then the divine is in discontent. If the divine is satisfied then the animal is in discontent. A part is always in discontent. If you move to the animal, in a way you satisfy part of your being, but immediately in that satisfaction dissatisfaction arises, because the opposite part, your future, is just contrary to it. The satisfaction of the animal is the dissatisfaction of the possibility of your future. If you satisfy your divine possibility the animal revolts; it feels hurt. A definite discontent arises within you. You cannot satisfy both, and satisfying one, the other is dissatisfied. This is the situation of man. Man is Janus-faced, a double being, split in two. If you satisfy one thing, then something becomes frustrating to your other part. If you do otherwise, then the other part is dissatisfied. Something is always lacking. And you cannot satisfy both, because they are diametrically opposite. And everyone is doing this impossible thing, trying to do this – to have a compromise somewhere so both heaven and hell can meet; so body and soul, the lower and the higher, the past and the future, can somewhere meet and have a compromise. We have been doing that for many lives. It has not happened, and it is not going to happen. The whole effort is absurd, impossible. These techniques are not concerned with creating a compromise within you. These techniques are to give you a transcendence. 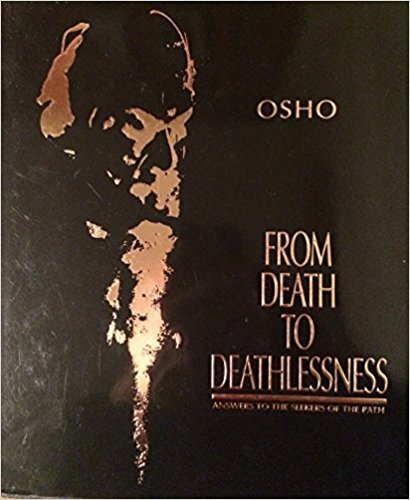 These techniques are not to satisfy the divine against the animal. That is impossible. That will create more turmoil within you, more violence, more struggle. These techniques are not to satisfy your animal against the divine. These techniques are just to transcend the duality. They are neither for the animal nor for the divine. Remember, that is the basic difference between other religions and tantra. Tantra is not a religion, because religion basically means: for the divine against the animal – so every religion is part of the conflict. Tantra is not a struggle technique, it is a transcendence technique. It is not to fight with the animal, it is not for the divine. It is against all duality. It is neither for nor against really. It is simply creating a third force within you, a third center of existence where you are neither animal nor divine. For tantra that third point is advait, that third point is non-duality. Tantra says you cannot reach the one by fighting through duality. You cannot come to a non-dual point by choosing one thing in the struggle in duality. Choice will not lead you to the one; only a choiceless witnessing. This is very foundational to tantra, and because of this tantra was never really understood rightly. It has suffered a long, a centuries-old misunderstanding; because the moment tantra says it is not against the animal, you start feeling as if tantra is for the animal. And the moment tantra says it is not for the divine, you then start thinking that tantra is against the divine. Really, tantra is for a choiceless witnessing. Don’t be with the animal, don’t be with the divine, and don’t create a conflict. Just go back, just go away, just create a gap between you and this duality and become a third force, a witnessing, from where you can see both the animal and the divine. I told you that the animal is the past and the divine is the future, and past and future are opposed. Tantra is in the present. It is neither past nor future. Just this very moment, don’t belong to the past and don’t hanker for the future. Don’t long for the future and don’t be conditioned by the past. Don’t allow the past to become a hangover and don’t create any projections in the future. Remain true to this very moment, here and now, and you transcend. Then you are neither animal nor divine. For tantra, to be such is to be God. To be such, in this suchness of the moment, where past is unrelated and future is not created, you are free, you are freedom. These techniques are not religious in this sense, because religion is always opposed to the animal. Religion creates a conflict. So if you are really religious you will become schizophrenic, you will be split. All religious civilizations are split civilizations. They create neurosis, because they create inner conflict. They divide you into two, and one part of your being becomes the enemy. Then your whole energy is dissipated fighting with yourself. Tantra is not religious in that sense, because tantra doesn’t believe in any conflict, in any violence. And tantra says don’t fight with yourself. Just be aware. Don’t be aggressive and violent with yourself. Just be a witness, a watcher. In the moment of witnessing you are neither; both the faces disappear. In that moment of witnessing you are not human. You simply are. You exist without any label. You exist without any name. You exist without any category. You are without being anyone in particular – a simple amness, a pure being. These techniques are for that pure being. So these are the three words: thinking, feeling, being. 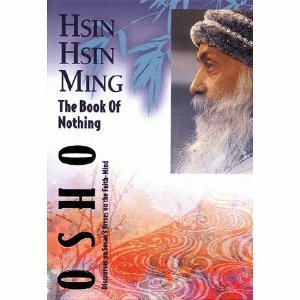 From thinking, nobody has ever been able to reach being. Nobody can bypass feeling; feeling is the bridge. The first step is from thinking to feeling, and the second step is from feeling to being. And in two steps the whole journey is complete. So remember, feeling will be tremendously beautiful, but don’t stop there. That is only a stopover. You can rest there a little bit, enjoy the world of the heart, but remember there is one step more. Through contradictions I destroy your clinging to the mind and thinking. Through silence I destroy the world of your feeling. And when both these layers are gone, you are as existence wanted you to be, in your purity, in your individuality. You have come home. So don’t be worried, the journey has begun. Don’t stop until you come back home, where there is no thinking, no feeling, but only a sense of existence. In that experience, I will be able to convey to you that which is unconveyable in any other way. Then I am not the master and you are not the disciple. In the mind, I am the teacher, you are the student. In feeling, I am the master, you are the disciple. In being, I am not, you are not – existence is. Truth has no name, and truth is not confined in any system of thought. 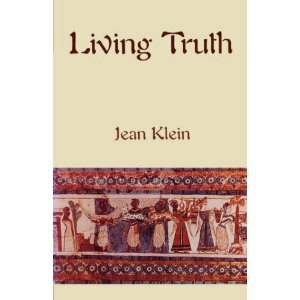 Truth is not a theory, a theology, a philosophy. Truth is the experience of that which is. Truth is not intellectual or emotional; truth is existential. These are the three layers of human consciousness. The first is the intellectual: it theorizes, it spins and weaves beautiful words, but with no meaning at all. It is a very cunning part, very deceptive. It can make you believe in words as if they have some substance. It talks about God, truth, freedom, love, meditation, but it only talks; it is just words and words and words. Those words are empty shells; if you look deep down into them they are hollow. This part goes on decorating; it uses big jargon to hide its inner emptiness. And our whole education – social, religious, cultural – consists only of words. It only cultivates the intellectual part of our being, which is the most superficial. Through the intellect you cannot reach to the divine, through the, intellect you will be lost in the jungle of words. That’s how millions of people are lost. Between you and God the greatest barrier is your so-called intellect. Remember, your intellect is not intelligence. Intelligence is a totally different matter. Intellect is a pseudo coin; it pretends to be intelligence but it is not. And because you don’t know the real you are easily deceived by the unreal, by the pseudo. Beware of the intellectual layer of your being, which is the most developed; that is the danger. The most superficial is the most cultivated. The most superficial is the most nourished. From the school to the university, the superficial is being nourished, strengthened. And slowly, slowly you get caught up in it, you become entrapped. Then people think about love; they don’t feel, they only think. Krishnamurti relates an incident which happened when he was travelling in a car. The car accidentally knocked down a poor animal, but two persons inside the car did not notice what had happened because they were engrossed in a conversation on how to be aware! This is the situation of the majority of humanity. God is present everywhere. Wherever you turn, He is. Open your eyes, He is, close your eyes and He is – because nothing else exists. God means isness. Anything that participates in existence is divine. But you don’t see; you go on talking about God, discussing. You have become so clever in hair-splitting, in logic-chopping. You have become so full of rubbish, which you call knowledge, because you can repeat the Vedas, the Koran, the Bible, like parrots. You have to be aware of this dangerous layer that surrounds you like a hard shell. The word ‘God’ is not God, and the word ‘love’ is not love either. If you become too much engrossed in the word ‘god’ you will go on missing God forever. If you become too much intrigued by the word ‘love’ then you can go to the library, you can consult all the books – and there are millions written about love by people who don’t know anything about love – you can collect great information about love, but to know about love is not to know love. Knowing love is a totally different dimension. Knowledge about love is very simple; you can become a walking encyclopedia. You can know all the theories of love without ever testing any theory in your experience, without ever living a single moment of love, without any taste of what love is. God is neither old nor new, or, God is the most ancient, and as fresh as the dewdrops in the early morning sun – because only God is. God is non-temporal; it does not belong to the dimension of time. Hence you cannot call it old or new – it is fresh, virgin. You need not go into the scriptures. You certainly have to go into the breeze that is passing through the pine trees; you certainly have to go into the fragrance that is being released by the flowers. Now…! You have to go into THIS moment with your total being, you have to relax here-now, and all the scriptures will be revealed to you. The Vedas and the Gitas and the Korans will be sung in your deepest core of being. 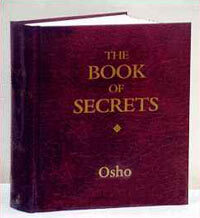 Then you will know that all the scriptures are true; but first your own inner scripture has to be known, understood. God is life – hence God is movement, hence God is constant change; that is the paradox of existence. It is something that never changes and yet constantly changes. At the innermost core everything remains the same, but on the circumference nothing is ever the same. God is change and no-change. God is eternity and flux. If you look at the world, you look at the manifest God, which is constant change – it is like a river moving and moving – but if you look at the unmanifest, then God is always the same. God is both. This world is not separate from God. You need not go in search of Him anywhere else; He is hidden here, He is playing hide-and-seek here. Religion has nothing to do with tradition or sacred books, religion has something to do with existential experience. Your first layer is intellectual – that has nothing to do with religion. You have to bypass it, you have to take a jump out of it. Your second layer is emotional, the layer of feeling, where intuitions arise, visions are revealed, dreams of the unknown descend; where poetry is born, and the dance, and the song. It is closer to God. The intellectual layer is perfectly good for the mundane world, for the marketplace. It is calculation, mathematics; it can become science, technology. It has its uses – use it, but don’t be used by it. The second layer is closer to God; it is the layer of feeling. The first layer is masculine, the second layer is feminine. The first layer is aggressive, the second layer is receptive. The first layer believes in action, the second layer is a tremendous passivity. It is like a womb. It is an open door, it is a deep welcome. The first goes in search for truth in a very aggressive way; it thinks in terms of conquering. Even a man like Bertrand Russell writes a book, Conquest of Nature. Bertrand Russell remained confined to the first layer. He had the intrinsic capacity to go far deeper into reality, but he remained concerned with words, logic, mathematics. He thought in terms of conquering nature: how the part could conquer the whole, how the drop could conquer the ocean, how the leaf could conquer the tree. It is utter nonsense! The very idea of conquest is ugly, but that’s how the male part of your being thinks. It is aggressive, it is violent, it is destructive, it is coercive, it is possessive, it is imperialistic. The second layer is intuitive: that of feeling, that of dreaming. The second layer is poetic, aesthetic, of deep sensitivity. It is totally different, its approach is different – it does not analyze. The first part believes in analysis, the second part synthesizes. Sigmund Freud remained with the first part, Assagioli moved to the second. Hence Sigmund Freud could create psychoanalysis; Assagioli could introduce a totally new concept, of psychosynthesis. But Sigmund Freud will look more scientific, obviously, more logical, rational. Assagioli will look like a visionary, a poet, but Assagioli goes deeper. Poetry always goes deeper than prose. Singing always goes deeper than syllogism. Become aware of the second layer in you, help it to revive. The society has repressed it; the society does not want it to function. The society is afraid of the second layer because the second layer is irrational, uncontrollable, unpredictable, because the second layer cannot be reduced to mechanical manipulations. The first layer is easily available for the politician, for the priest to dominate. It is easily available for the educators, the pedagogues to condition, to hypnotize. The second is not available. The second is so deep that the hands of the priest and the politicians and the pedagogues cannot reach to it. You will have to help your second layer to become more prominent. The emphasis has to shift from the first to the second. And the second is not the last; the second is only the door. The third is the last. The third layer is that of being. The first is intellectual, the second is emotional, the third is existential. With the first you think, with the second you feel, with the third YOU ARE. With the third, thinking disappears, feeling disappears. Only a kind of witnessing remains, a pure consciousness, an awareness. That’s what meditation is all about. All sacred scriptures are in the head, and all your rituals, religions, are in the head. Your rituals, your religions, your theologies, don’t even reach to the second. If you want to reach to the second you will have to learn from the painters and the poets and the singers, musicians, dancers. You will have to go into the world of art. But if you want to go to the third – and without going to the third you will never know what God is – you will have to go into a deep communion with a Master. Only a mystic can make you attuned with your own innermost being. Only one who is in at-onement with his own being can infect you. Religion is something like a contagious disease. It is not disease, it is health, ultimate health, but health can become as contagious as any illness can ever become. Religion has to be learned only in the vicinity of a Master. It cannot be learned from traditions, from scriptures. You will need somebody alive so that you can be in love, somebody alive who can by his presence trigger a process in your being. It cannot be taught, it can only be caught. That statement is of tremendous value: I am the worshiper and the worshiped. You are the seeker and the sought, you are the devotee and the deity, you are the temple and the Master of the temple. You need not go anywhere. If you need go anywhere it is only inwards, into your own interiority. 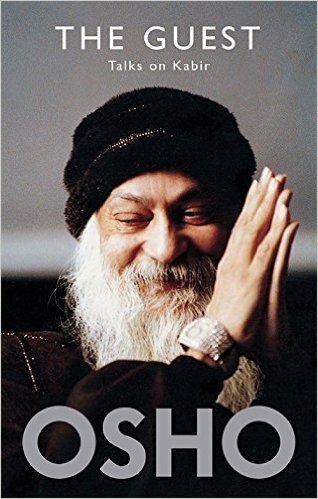 Dear Osho, I love you. In a Sannyas Magazine you said that you are not a person.Then what are you? Bindiya, nobody is a person, although everybody believes that he is a person. Nobody can be a person, because we are not separate. We are like waves in the ocean. No wave has a personality. Yes, it has a form, but it is not separate from the ocean. It is one with the ocean, you cannot separate it from the ocean. You cannot take the wave away from the ocean; it will disappear, it will not be a wave at all. It can only be a wave in the ocean, with the ocean. It is not separate, it is part of the dance of the ocean. It has no personality. Yes, it has a certain individuality because it is different from other waves – unique it is! – But it is not separate from the existence. And it is not separate from other waves either, because they are all joined together in one ocean. We have been told that we can love only persons. The truth is just the opposite: you cannot love the person. Persons can only fight, persons can only be in conflict, because wherever two egos are, there is conflict, a constant war – sometimes hot, sometimes cold, but the war continues. Sometimes the warriors are tired so they maintain a certain peace. Whenever they are back again and their energy is there again, they start fighting.